In August of 2015, Prince George hosted the Northern Taste Market at the BC Northern Exhibition, with its most memorable highlight being the Iron Ore Chef Challenge where the city’s best greatest chefs gathered for a head-to-head competition mirroring those found on television hosted by flamboyant hosts spouting memorable catch-phrases. 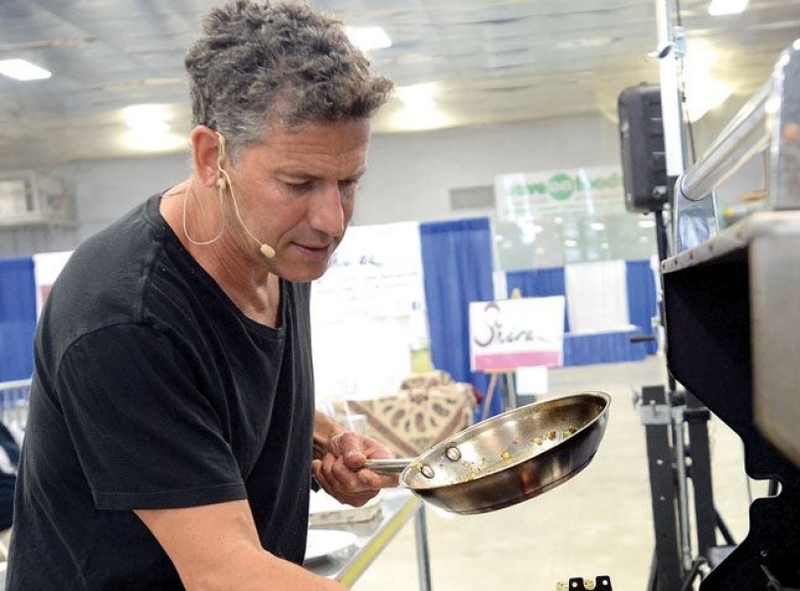 Northern Taste was lucky to boast such a presenter in the form of Bob Blumer—host of Food Network's The Surreal Gourmet, Glutton for Punishment, and World's Weirdest Restaurants. With Bob as emcee, the original Iron Ore brought together the head chefs of favorite local spots such as Twisted Cork, North 54, and the winning restaurant that year White Goose Bistro led by Chef Ryan Cyre. The event proved such a hit that Bob returned for a repeat a year later - the competition of which saw Chef Jagdish Gill the triumphant victor. In 2018, the concept was resurrected with PG’s Chef Challenge Dinner. Blumer once again graced the event with his charisma and wit. Four of Prince George's top restaurants faced off in a multi-course dinner--Ryan Cyre from White Goose, Brian Quarmby from Betulla Burning, Jim Demarce from The Twisted Cork, and Jagdish Gill from Karahi King. In the end, Brian Quarmby from Betulla Burning emerged victorious. His rivals would not let that stand, and I 2019 sees the return of the PG’s Chef Challenge Dinner. Like last year, the PG’s Chef Challenge Dinner raises money for the Prince George Hospice Society. Each chef will be presenting original dishes as part of an overall meal. Throughout the evening, Bob will be interviewing chefs and attendants. However, unlike last year, 2019 will see the return of the judge’s panel populated by Selen Alpay, a TBA judge and myself. Tickets are still available, and like last year, 2019 is certain to be a massive, talked-about event.